Fear the Walking Dead premieres tonight! 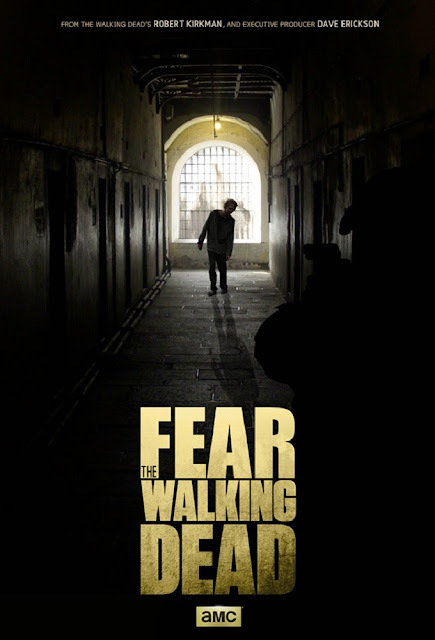 Fear the Walking Dead is a spinoff of the popular Walking Dead TV series Kim Dickens, Cliff Curtis, and Frank Dillane set in Los Angeles. The author of the comic, Robert Kirkman, is also one of the writers for the new series. With the new zombie series airing, tomorrow I will be reviewing the original zombie movie that started it all, Night of the Living Dead! I am extremely skeptical about whether or not Fear the Walking Dead will be able to capture what made the original great, at least during those few really good seasons. Of course, whether it is awful or not, I will watch it since I am a fan. With that said, the original Walking Dead has been very inconsistent since Season 3, and it makes me wonder if Fear will be more like the first season, which was great, or like the current series, which, while very good, can lose focus on its main goal at times.If there is enough interest, I might review the first episode. Are you going to watch the series? What do you expect from it? Please comment below, and check tomorrow for my review of Night of the Living Dead.